Arsenal continue their pre-season preparations when we take on Chelsea in the International Champions Cup in Dublin this evening. Here is the team I think Unai Emery will select…. Our summer signing performed well during the 5-1 victory over Paris Saint-Germain last time out and with the new season on the horizon, I think Emery will want to give him another start tonight against Premier League opposition. Lichtsteiner and Monreal only returned to pre-season training on Monday so they are highly unlikely to start this evening. Therefore, Bellerin should once again start at right-back with Sead Kolasinac on the left. Let’s hope the Serbian ups his game as he was poor against PSG. Sokratis looks to be a guaranteed starter under Emery and he should get another chance to impress against Chelsea but it’s going to be interesting to see who the boss goes with alongside the Greek international. Calum Chambers has done reasonable well in pre-season and looks set to be given a chance under Emery but I think Shkodran Mustafi is the man most likely to get the nod. He’s been solid so far during pre-season and if he can cut out his silly mistakes, he has the makings of a solid defender. Matteo Guendouzi has been excellent in pre-season and it looks like we’ve snapped-up a real star of the future but he may be given a breather as Aaron Ramsey is due a recall. The Welshman was named on the bench against PSG at the weekend so I expect him to come back in to the midfield this evening. Lucas Torreira finally met up with his new team mates on Monday following his extended post-World Cup break and fans are desperate to see the Uruguayan international in an Arsenal shirt for the first time. 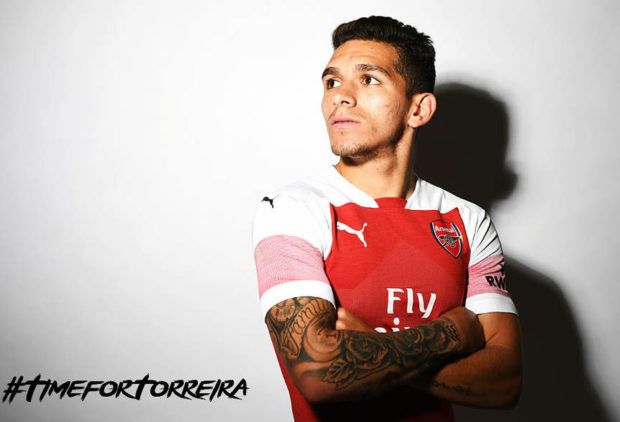 However, it’s unlikely Torreira will feature tonight after just two days training so we may have to wait until the weekend. Granit Xhaka is also lacking fitness after his late arrival at training so he’s not expected to feature either but Mo Elneny is in-line to start after facing PSG last time out. 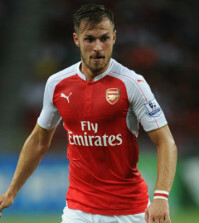 Youngsters Emile Smith Rowe and Ainsley Maitland-Niles are other options for Emery but I think we’ll see Elneny alondside Ramsey tonight. I think Emery is going to have one eye on our Premier League opener against Manchester City so I expect him to field virtually a full strengthen side so we could see our fearsome attacking quartet start together. 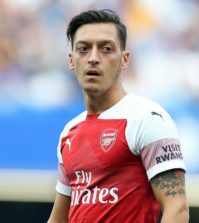 Mesut Ozil captained the side against PSG and looked sharp so hopefully he can produce another top performance to silence the haters while Henrikh Mkhitaryan should also start after featuring heavily in pre-season so far. Pierre-Emerick Aubameyang played through the middle during the first half against PSG but we may see the Gabon international moved out to the wing to accommodate Alexandre Lacazette after he came off the bench to score twice at the weekend. 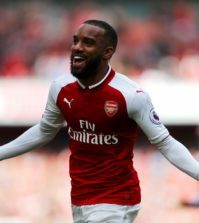 It’s going to be fascinating to see how Emery deals with the Auba-Laca issue up front but I think we’re going to see a lot of Aubameyang on the wing with Lacazette as our central striker. Let’s see how they look against Chelsea tonight.